The Yasawa Islands are a chain of islands stretching for 80 kilometers along the north west coast of Viti Levu of the Fiji Islands. The main attraction of the Yasawas is the abundance of beautiful white sand beaches, which draw visitors to Fiji from around the world every year. They are simply stunning and beautiful. The Yasawa Islands are a group of islands in north-western Fiji. Approximately 30 resorts are spread through the 12 major islands in the group. Most resorts provide basic accommodation and meals with access to natural and cultural sites. 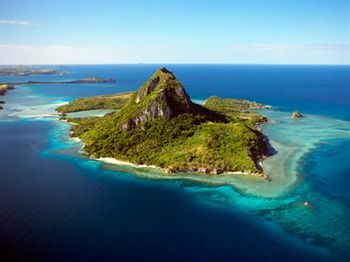 Yasawa Island of Fiji is the most beautiful and most South Pacific Islands in all of Fiji. Both versions of Blue Lagoon were filmed in this tropical and breath taking Yasawa Fiji.